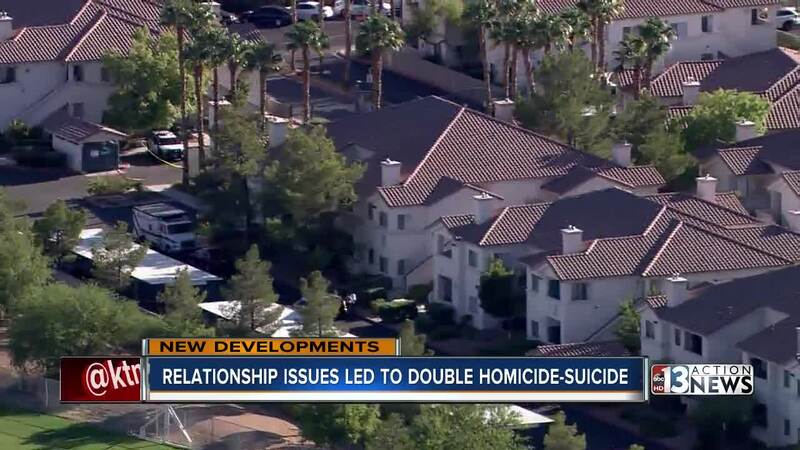 A woman who was killed along with a male friend was in the process of ending her relationship with the man who shot her. 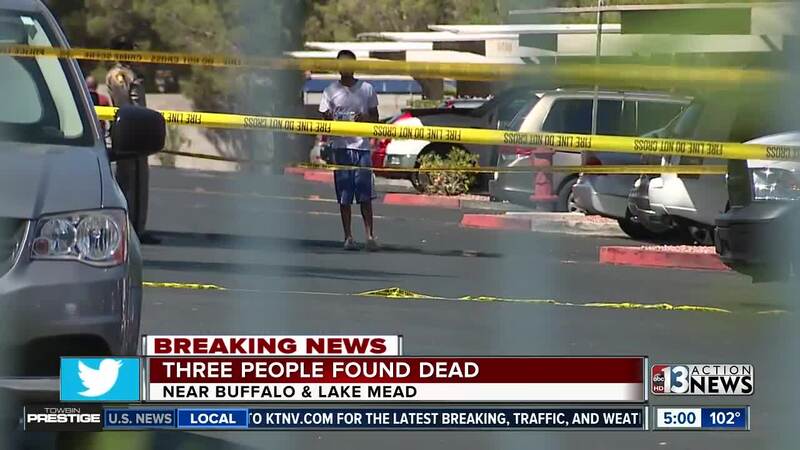 Las Vegas police are investigating after three people were found dead Monday. Around 11:30 a.m., a person walking through the Winchester apartments found a man having trouble breathing just in front of an apartment unit door located near mailboxes in the 2100 block of Echo Bay Street, near Lake Mead Boulevard and Buffalo Drive. 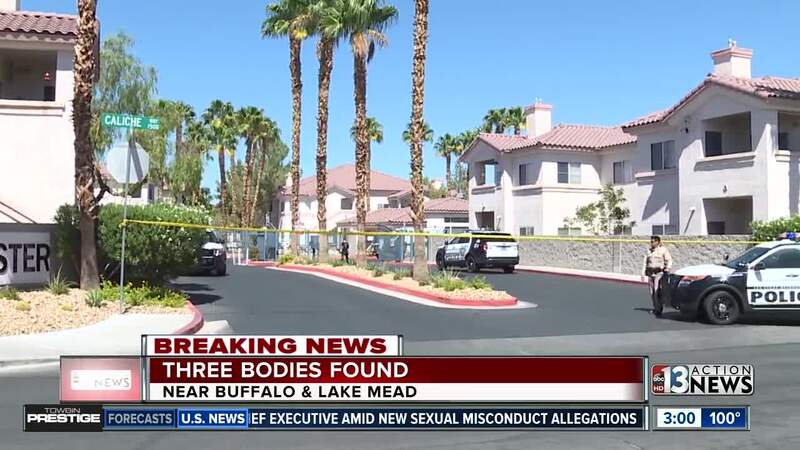 Paramedics came to the apartment complex moments later and found the man was bleeding from the head, according to Las Vegas Metropolitan Police. The man was declared dead on scene. Police then attempted to knock on a related apartment door with no answer before kicking a hole through the door. That is when police said they found two other people dead inside. Police cleared the apartment and found a woman dead near a back bedroom on the floor. A man was dead on the couch with an apparent self-inflicted gunshot wound to the head, according to police. That man has been identified by the Clark County coroner as 51-year-old Matthew Terracin. Investigators are calling this incident a double murder-suicide. "I can tell you, just by looking at the scene, at this point, I am confident that the person who committed the crime is sitting on the sofa with the rifle who did the self-inflicted gunshot and the two victims are going to be the male and the female," said Lt. Ray Spencer, of Las Vegas Metropolitan Police Department's Homicide Section. Homicide detectives said Tuesday that woman was in the process of ending a relationship with the suspect. It appears the suspect came over to the woman’s apartment while a male friend was over. The suspect shot the victims inside of the apartment and then shot himself. It appears the male victim who was found outside stumbled outside to get help but succumbed to his injuries.